These circuits include four analog switches, to control the tuning voltage in TX sets and radio receiver. 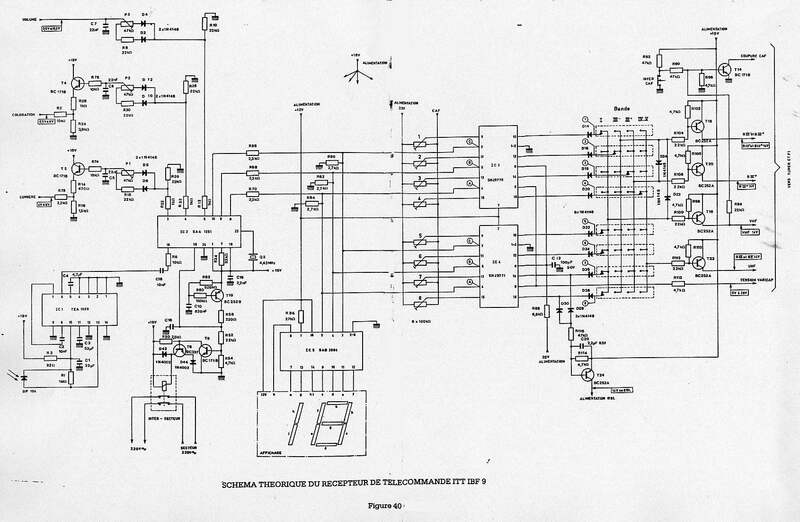 I need this datasheet for an extensive guidebook over the Saba receiver series 92xx. I searched into all directions: forums, database, Ti Europe, Ti USA, Ti book seller, electronic experts, TV and radio shops, many universities, with no result. The pinout might be the same, with slightly different characteristics. I was an RCA analog engineer, so I'm not so familiar with TI stuff. I know this chip (but I don't have data on it). It was used in Australian Pye TVs as well. I think its origins are TI Europe, possibly UK, late 1960s or early 1970s. It's a mutually exclusive 4 bit latch that's cascade-able, so if you want 8 channel keys you use 2 chips, linked together. It switches tuning voltages and bandswitch settings from a tuning pot array. Voltages can be up to 33 volts so it's not a normal logic part.. Inputs can be from an elastomeric keyboard or finger resistance touch sensors. It also drives indicator LEDs. I have circuits normally 8 chanel up to a 16 channel application with SN29770 to SM29773, a lot of samples and I know the function, but I am surprised that no data sheets exist although these circuits have been installed for a lot of years in so many different TV sets, receiver and tuner devices.